A flashlight is a basic tool that every person needs to have. They help us brighten a dark room or area, search for lost items, and be used as a protection weapon when attacked. That’s why selecting a quality and reliable EDC flashlight is very crucial. And Olight S1A one of the best and the smallest EDC flashlight. Different flashlights are built for different uses. Ensure that you acquire a flashlight that meets your needs and has features that you want. 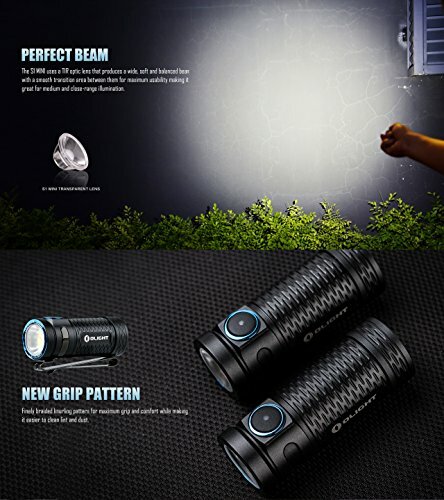 The Olight S1A flashlight maximum brightness is 600 lumens, 5 modes, usb charging option and lots more advanced features. Read this Olight S1A review to know more about this compact edc light. 5 Why buy the Olight S1A flashlight? Before I landed on the Olight s1a 600 lumen flashlight, I had tried out different flashlight brands which didn’t fully impress me. Some had issues and didn’t perform to my expectations. But with the Olight s1a AA flashlight, it has performed well since I acquired it and won’t mind getting another or recommending it to a friend. 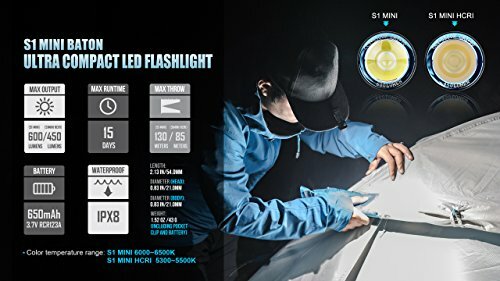 This flashlight has a wide range of features that have impressed me. 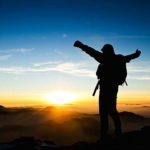 That is why I decided to share this info with people like you who are looking for an excellent light that they can rely on in different situations. The Olight s1a flashlight is powered by one AA battery and it comes with a single 1.5V AA lithium iron disulfide battery. Also, you can use one 14500 rechargeable lithium battery which has a longer runtime. It uses an LED bulb which has a longer lifespan and it is indestructible. Also, the flashlight produces very bright light with a maximum of 600 lumens. The built-in timer helps to prevent the flashlight from overheating by switching the light modes from turbo or high to low. In addition, this flashlight is sturdily built as it has an aluminum body with anti-scratch hard anodized finish. This can withstand different hard conditions and thus allow the user to use it outdoor. Using the Olight S1A baton flashlight is easy by just switching on the button. It comes with a stainless steel clip that can be attached to the pocket, bag or belt when not in use. Another outstanding feature of the Olight AA flashlight is the bezel. This is used to strike an enemy in case of an attack. The Olight s1a baton flashlight is an upgrade of the famous s15 baton. 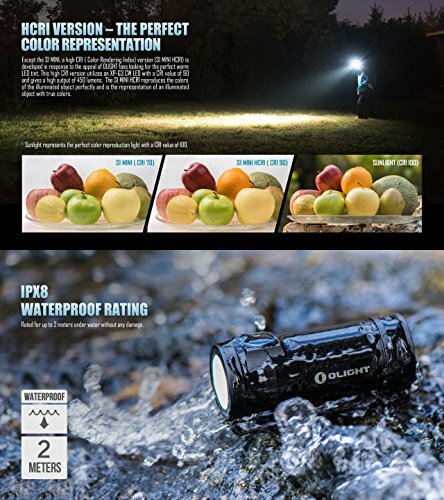 If you liked the s15 baton flashlight, then you will find the olight s1a flashlight to perform even better. The eco-friendly flashlight has a signature TIR optic lens that provides a very bright light that reaches up to 71 meters. With such features, it’s hard to argue that this is one of the best edc flashlights on the market. Why buy the Olight S1A flashlight? The Olight s1a baton flashlight is durably constructed to last long. It is made of Al6061-T6 aluminum body with anti-scratch milspec type-III hard anodized finish. Also, it has a blue PVD stainless steel ring on the switch and bezel. These features make it to survive impact or even crashes when in use. Hence, you can rely on this flashlight to continue providing you with bright light for many years. If you want a reliable ultra compact flashlight but still want to remain stylish, then the olight s1a baton AA flashlight is ideal for you. As simple as it looks, this flashlight will provide you with very bright light and blind an enemy in case of an attack. It has a strike bezel that can be utilized for protection and a pocket clip for keeping it safe. Besides offering all of these, it still looks beautiful in your hands and will be a great admiration from friends when they see it. If you are looking for an edc light that lightens up your entire room, the olight s1a baton LED flashlight is a great choice. This flashlight uses LED bulb which is not only indestructible but has a longer lifespan than other types of bulbs. Actually, it can work for 5 years without spoiling. Also, it has a maximum of 600 lumens which is bright enough to light up a whole room or path. In addition, it has a built-in timer that controls the brightness level. The shorter timer goes off after 3 minutes and the longer timer goes off after 9 minutes. The brightest mode reaches up to 71 meters which is amazing. This flashlight offers the user with different lighting options. One can switch it to 0.5 lumens, 5 lumens, 50 lumens, 220 lumens and 600 lumens. The strobe mode uses 220 lumens and special turbo mode uses 600 lumens. Choose a light mode according to use so that you can prolong the battery life. 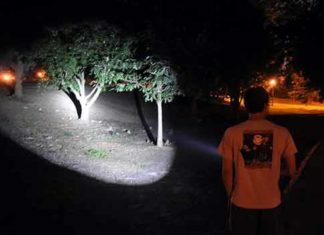 Strobe mode can be used to disorient assailants if attacked and the turbo mode can be used when one needs very bright light. One of the best features of this flashlight is that it is waterproof. The aluminum alloy construction with anti-scratch milspec type-III hard anodized finish makes it to be resistant to water and scratch. Thus, you can use it for outdoor activities such as fishing, camping, hunting or even hiking without any fear of bad weather or crashing. Unlike some edc flashlights, this Olight s1a baton light doesn’t get very hot when used on turbo or strobe mode for long. Many flashlights become hot and unbearable to use in such situations. The Olight s1a baton AA flashlight is controlled by a thermal protection program. This functions by limiting the turbo mode to one minute and then the brightness reduces to 50% of the former light mode. When it comes to storage, this isn’t a problem for the olight s1a LED light. This is because it has a stainless steel pocket clip that can be attached to your belt, pocket or bag when not in use. So, you can have it handy as you hunt or go outside the camp in the evening and ready to remove it when you need light. On top of the wonderful features that this flashlight comes with, the manufacturer offers a 5 year warranty to buyers of the product. The Olight s1a baton flashlight is a sleek but versatile flashlight. If you have been looking for a small but reliable flashlight, this is one of the best. It offers very bright light with a maximum of 600 lumens and covers up to 71 meters. It is very durable as it’s made from aluminum alloy and has a hard anodized finish that resists water and other tough conditions. 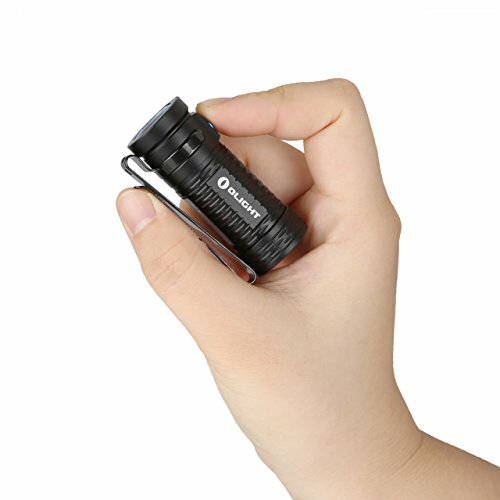 Also, the size of the flashlight makes it easy to hold and use when out camping or doing other activities. Acquire this AA flashlight from Olight at a very favorable price but still get excellent features. It can be used in emergency situations with the strobe mode, and other normal lighting conditions by selecting a light mode of your choice. I hope this Olight S1A review has given a clear idea about this edc flashlight.